2016: only 6 MCQ, and out of them only 4 could be solved from Indian Polity by M.Laxmikanth. Polity reaches unprecedented height: 22 MCQ i.e more than 1/5th of the paper! And all from ‘theory’. 16 out of 22 MCQs could be solved from M.Laxmikanth. What does the NGO ‘Rashtriya Garima Abhiyaan’ do? Thankfully no such random questions. Everything is at least hinted either in M.Laxmikanth or in NCERT. But that doesn’t mean, Polity by default was easy, because even though they are covered in books, eight of them in medium to tough category, because requiring ‘interpretation’ of the known provisions or some factual information. The take-off point for a democracy is the idea of consent, i.e. the desire, approval and participation of people. It is the decision of people that creates a democratic government and decides about its functioning. So, since democracy requires voters’ decision making- hence intelligence and character are called in. 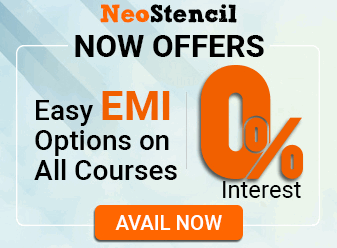 Difficulty: ★☆☆ Easy, even if you’ve not read NCERT, this can be attempted. Guessmaster-giri: Irrelevant. While it’s possible to eliminate B, C and D, through common knowledge and understanding of polity and Constitution, but that’s knowledged elimination and not guessing. First step towards bringing about equality is of course ending the formal system of inequality and privileges. The caste system in India prevented people from the ‘lower’ castes from doing anything except manual labour. In many countries only people from some families could occupy high positions. Attainment of equality requires that all such restrictions or privileges should be brought to an end. No one can be denied entry to place of public worship, shop, hotel, public entertainment, hospital etc. So this means absence of ‘privileges’ earlier enjoyed by rulers, elites and upper caste. Guessmaster-giri: Irrelevant. This is the minimum level of understanding every serious aspirant must have, about Indian Polity and Constitution. This segment evenly spread among four topics: (Preamble, FD, FOR, DPSP) x 2 MCQs from each = Total 8 MCQs. 63. Which one of the following objectives is not embodied in the Preamble to the Constitution of India? So, “B” is the answer. Difficulty: ★☆☆ Easy because given directly in the book. Guessmaster-giri: Possible without any knowledge. Because by “word association”, A, C and D are similar and “B” is dissimilar so it should be the correct answer. 73. The mind of the makers of the Constitution of India is reflected in which of the following? Guessmaster-giri: Irrelevant. Because if you’ve vague idea, then even “C” will also look a suitable option! 47. Which of the following are envisaged by the Right against Exploitation in the Constitution of India? Right to equality Abolition of untouchability. So “2” is wrong in the classification. This eliminates A and D.
Prohibition of human trafficking and forced Labour. Prohibition of employment of children in factories etc. So 1 and 4 are fitting. So 3 is wrong in classification. So by elimination, we are left with answer 1 and 4 only. Difficulty: ★★☆ Easy to Medium depending on revision, because while it’s given in the book, during the actual exam, you may feel abolition of untouchability is also ‘against exploitation’. Guessmaster-giri: Irrelevant, because factual information asked. In fact by guessmaster-giri you may even feel all four are correct answers. So it should be “D”. 83. Which one of the following statements is correct? Through these rights, people make demands upon the state. So, “C” is most fitting answer. 61. Which of the following statements is/are true of the Fundamental Duties of an Indian citizen? Statement#1: Legislative process for fundamental duties? Parliament may provide for the imposition of such penalty or punishment as may be considered appropriate for any non-compliance with or refusal to observe any of the duties. No law imposing such penalty or punishment shall be called in question in any court on the ground of infringement of any of Fundamental Rights or on the ground of repugnancy to any other provision of the Constitution. Since there were not incorporated so first statement is wrong. There is no “A legislative process” (in the Constitution) for enforcing these duties. Verma Committee on Fundamental Duties of the Citizens (1999) identified the existence of legal provisions for the implementation of some of the Fundamental Duties. Such as The Prevention of Insults to National Honor Act (1971) prevents disrespect to the Constitution of India, the National Flag and the National Anthem. Hence statement 1 is right. Conclusion: statement #1 is wrong. There is no “a single” or multiple legislative processes provided for enforcement of (all) of these duties. Statement #2 are they correlative to legal duties? Correlative as “Mutually related, having a correlation; varying or happening in a related or dependent manner”. Are fundamental duties correlative to legal duties? No, there is none for Rajesh Khanna’s case. He had no legal duty to promote excellence in film-making, though fundamental duty required him to do so! Are legal duties correlative to fundamental duties? Similarly, many of the legal duties imposed upon Doctors, Chemists, Chartered Accounts, Company directors are of such technical nature that we can’t find their correlation with any fundamental duties. Conclusion: statement #2 is wrong. I hate typing so long explanations, but it is my fundamental legal moral duty to either give detailed explanation to justify my answer, ELSE I should simply give up saying, “wait for UPSC’s official Answerkey”. Difficulty: ★★☆ Easy to medium, depending on your understanding of the topic. Guessmaster-giri: Irrelevant. Infact, if you’ve ‘vague’ idea of the topic, then you’ll feel more confused about first statement’s correctness. 72. In the context of India, which one of the following is the correct relationship between Rights and Duties? Rights and duties are correlative and inseparable. 82. Which principle among the ‘following was added to the Directive Principles of State Policy by the 42nd Amendment to the Constitution? 1. To secure opportunities for healthy development of children (Article 39). 2. To promote equal justice and to provide free legal aid to the poor (Article 39 A). 3. To take steps to secure the participation of workers in the management of industries (Article 43 A). 4. To protect and improve the environment and to safeguard forests and wild life (Article 48 A). Difficulty: ★★☆ Medium because requires good memory and recollection power. Page 7.1: Fundamental rights operate as limitations on the tyranny of the executive and arbitrary laws of the legislature. Page 8.1: The phrase ‘Directive Principles of State Policy’ denotes the ideals that the State should keep in mind while formulating policies and enacting laws. These are the constitutional instructions or recommendations to the State in legislative, executive and administrative matters. DD Basu, Page 162: Granville Austin considers DPSP as “positive obligations” of the state. So, all of above points that answer “D” neither 1 nor 2. Difficulty: ★★☆ Easy to medium depending on how much hairsplitteryTM you do in the exam. e.g. if Government allowed MNC company to do mining project in tiger reserve, or start charging Rs. 1,000 for legal aid to poor then some DPSP will be violated and even though it’s non-justiciable, still the courts may entertain some PIL and put stop to it. Then you’ll be stuck whether answer is “C” or “D”. 46. Which of the following are not necessarily the consequences of the proclamation of the President’s rule in a State? MIND IT: you’ve to find the wrong statements here- they’re the right answers. Page 16.6: when the President’s Rule is imposed in a state, the President dismisses the state council of ministers headed by the chief minister. The state governor, on behalf of the President, carries on the state administration with the help of the chief secretary of the state or the advisors appointed by the President. Meaning “2” is definitely the consequence of proclamation. Hence all options involving “2” are wrong. Hence by elimination we are left with answer “B”: 1 and 3 only. Just for reference Page 16.7: During president’s rule is in operation, the state executive is dismissed and the state legislature is either suspended or dissolved. So dissolution is not ‘necessarily’ the consequence. Difficulty: ★☆☆ Easy by elimination of known fact from the routine book. Guessmaster-giri: Irrelevant, because factual information asked. 50. Which one of the following is not a feature of Indian federalism? M.Laxmikanth Page 13.1: the Indian federation is not the result of an agreement among the states unlike the American federation. So, “D” is not the feature of Indian federalism. MIND IT- here you’ve to find the ‘wrong’ statement which is not a feature of Indian federalism. States are given representation in the Rajya Sabha on the basis of population. Hence, the membership varies from 1 to 31. C is right (feature of Indian federalism) therefore wrong option for the given MCQ. Federal Features of Constitution: establishes a dual polity consisting the Union at the Centre and the states at the periphery. Each is endowed with sovereign powers in the field assigned to them respectively by the Constitution. B is right therefore wrong. The Constitution establishes an independent judiciary headed by the Supreme Court …to settle the disputes between the Centre and the states or between the states. A is right therefore wrong. Difficulty: ★☆☆ Easy because answer available verbatim the routine book. Had they asked true false type combination with “A) only 1 and 4 B) only 4..”, then it’d have been tougher MCQ because some candidates will get confused thinking even unitary nations’ constitutions also have independent judiciary. Difficulty: ★☆☆ Easy because directly given in the routine book. Guessmaster-giri: Irrelevant. Because then even “D” would seem right! M.Laxmikanth Chapter 3, Salient features of the Constitution. Parliamentary system is also known as Cabinet Government. It provides for collective responsibility of the executive to the legislature. 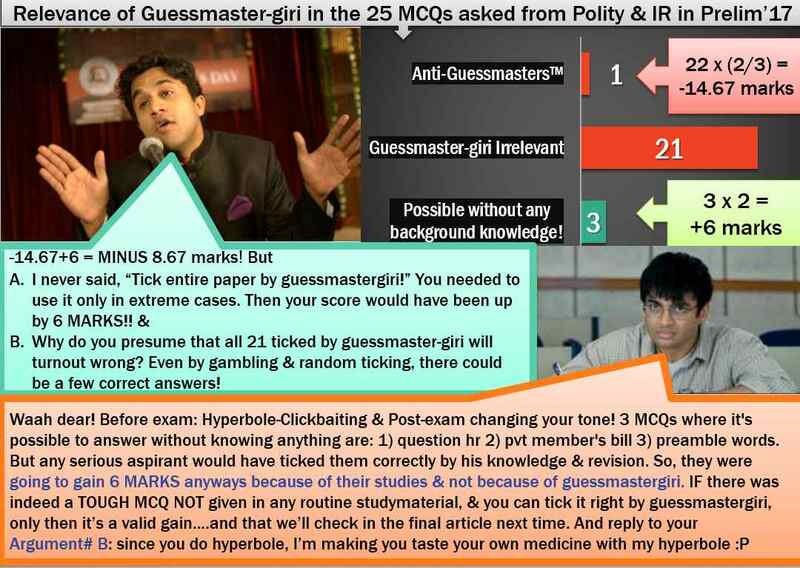 Guessmaster-giri: Irrelevant, because at max., you can eliminate “D” because it has extreme word “CANNOT”. But you’re still left with three options. Besides this is the minimum level of knowledge every serious aspirant must have! Since Council of Minister is collectively responsible specifically to the house of people, so indirectly they’re responsible to all people of India (who elected Loksabha MPs). It is through these powers (over budget, motions etc.) that Parliament enforces the responsibility of the Executive to itself and to the people in the ultimate analysis. No, the term “Collective responsibility” is an entirely different thing about ministers swim and sink together. Yes, Cabinet form of Government collectively responsible to parliament but not to people per se. It says “form” of Government rather than Cabinet Government. Then why DD Basu used the word ‘cabinet form‘, when in 1947-50 the responsibilities were not increasing day by day (as they’re increasing today)? Cabinet “form” of Government ensures speedier decision making because of Division of Labour. So basic principle is “B”. So what should be the answer? Since it is not practical for all ministers to meet regularly and discuss everything, (hence) the decisions are taken in Cabinet meetings. That is why parliamentary democracy in most countries is often known as the Cabinet form of government. Difficulty: ★★★ [Tough due to problem of interpretation and because who reads class 9 NCERT for civics?]. Guessmaster-giri: Irrelevant, because even if you eliminate A and D by part logic, part guesswork, still 50:50 between “C” and “B”. Page 22.14: Supplementary questions can be asked during the question hour. Therefore, all three are correct. Difficulty: ★☆☆ Easy, because directly given in the book. (d) 1, 2 and 3All correct as per Tamilandu Class 11 science text book. 77. Which of the following is/are the indicator/indicators used by IFPRI to compute the Global Hunger Index Report? (d) 1 and 3 onlyall three right as per IFRPI official website. So as per that rule, 1,2 and 3 should be the answer without any knowledge of the subject. And it turns out to be the correct answer. M.Laxmikanth Page 17.9: while discussing the vote power of president, it means Private member’s bill as a bill introduced by any member of the parliament who’s not a minister. Hence first statement is wrong. PRSIndia.org and Indian express 2016 : only 14 private members bill have been passed since 1952. So statement #2 also wrong. Alternatively, same facts also, given in the book, Our Parliament by Subhash Kashyap. Difficulty: ★★☆ Easy to Medium, if you’re not keeping tab on the current affairs. Because in 2016, Shashi Tharoor was very active in introducing private member’s bills. So English newspapers were running ‘explained’ series for the history. Guessmaster-giri: Possible to tick correct answer without any knowledge of the subject. Because first and foremost rule is “any statement with extreme words” is wrong. So accordingly, both statements ought to be wrong. M.Laxmikanth Chapter 26 supreme court, Page 26.8. Judicial review is the power of SC to examine the Constitutionality of legislative enactments and executive orders of both union and state Government. Hence Statement “A” is the answer. Judicial review means the power of SC or HC to examine the constitutionality of any law. So again, “A” is the most fitting option. Guessmaster-giri: Irrelevant because factual definition asked, and at maximum you could eliminate “C” option because it has extreme word “All”, still you’re left with three choices. To contest any election, person has to be CITIZEN of India. This eliminates A and B. Any citizen of India: it could be a minor (below 18 years also) then he can’t contents election. So, “D” also wrong. Hence we are left with answer “C”. He must be registered as an elector for a parliamentary constituency. This is same in the case of both, the Rajya Sabha and the Lok Sabha. Difficulty: ★☆☆ Easy by elimination. Guessmaster-giri: If you go by guessmaster-giri rule’s first and foremost rule that extreme worded statements are wrong, then A, C and D ought to be wrong statements because they’ve extreme word “ANY“. Then you’ll arrive at wrong answer “B”. Hence, it’s an ANTI-GUESSMASTERTM MCQ! India has first past the post system wherein a candidate who wins the election may not (need to) get majority (50%+1) votes. Statement #1 is wrong. Upto the 10th Lok Sabha, both the Speaker and the Deputy Speaker were usually from the ruling party. Since the 11th Lok Sabha, there has been a consensus that the Speaker comes from the ruling party (or ruling alliance) and the post of Deputy Speaker goes to the main opposition party. Meaning it’s an ‘informal consensus’ among political parties, and not Constitutional provision. Hence #2 also wrong. Guessmaster-giri: irrelevant. This is the minimum knowledge a serious aspirant must have. True, that first statement contains the word “MUST” so it ought to be wrong as per the first and foremost rule of Guessmaster-giri. Still you’re left with 50:50 between “B” or “D”. …For example the right to property is not a Fundamental Right but it is a constitutional right. Right to vote in elections is an important constitutional right. Page 67: what is true of the right to vote, is also true of right to contest election. All citizens have the right to stand for election and become the representative of the people. So option “C” is most fitting. Because of the above statements from NCERT class 9 and 11. Page 43: No doubt, the right to vote is a statutory right but it is equally vital to recollect that this statutory right is the essence of democracy. In NOTA judgement, SC drew distinction between ‘right to vote’ as mere statutory right, and right to ‘freedom of voting’ being part of Constitutional right to free speech. Matter: Regarding validity of Haryana State law that prescribed “minimum” educational qualifications will be eligible to contest panchayat elections in the State. Justice Abhay Sapre Page 60: gave separate but concurring judgement that we are of the considered opinion that both the rights namely ” Right to Vote ” and ” Right to Contest ” are constitutional rights of the citizen. Most candidates don’t read civics from class 9 NCERT, at max they go for political science class 11 and 12. M.Laxmikanth doesn’t help because page 7.25: it gives category “Constitutional rights or legal rights” and put “the election to Lok Sabha and State shall be on the basis of adult suffrage” in that category. So, it’s either “C” or “D”. Difficult to interpret the examiner’s intention? Is he asking from current / contemporary news or basic NCERT? Current Affairs Span: 2013-15 because of those cases. 2. Union Ministry of Home Affairs decides the election schedule for the conduct of both general elections and by-elections. 3. Election Commission resolves the disputes relating to splits/mergers of recognized political parties. M.Laxmikanth chapter 42 on Elections: Page 42.3: Election commission has three election commissioners. So first statement is wrong. 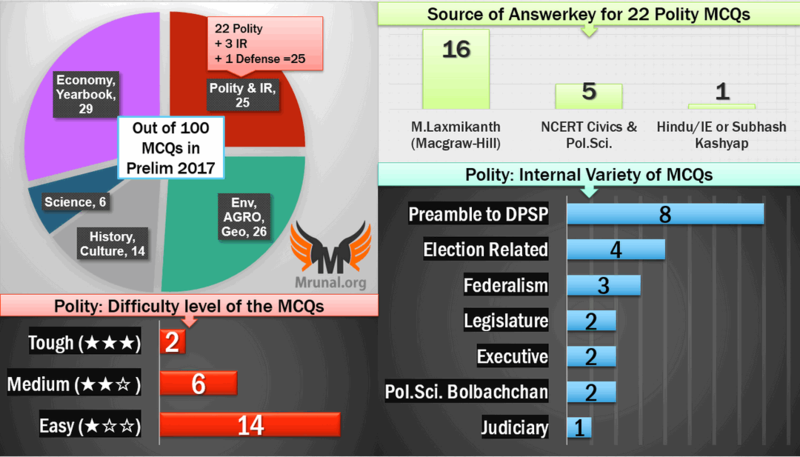 India Yearbook 2017, Chapter 3-Polity: Subtopic Election Commission. Election commission decides the election schedule for the conduct of both general elections and bye-elections. So second statement is wrong. It also decides the disputes relating to splits/mergers of recognized political parties. So third statement right. Hence answer “D” only 3. I give the credit of this question to India Yearbook, because verbatim statements are lifted from there. Difficulty: ★☆☆ Easy to Medium, depending on how regularly you follow current affairs from newspaper such as “EC declares by-election dates for __”, and election symbol controversy during in SP and AIADMK’s internal splits in 2017. Same for Indian ocean naval symposium. As if simply copied a ‘leftover’ MCQ from their draft question bank for prelims-2016! No other MCQ on defense, unlike previous years- when they were asking about missiles, submarines etc. Easy question about belt road initiative boss? Easy question on Chabahar port. OPCW- chemical weapon org. asked Nuclear organizations asked. Movie in news: The Man Who Knew Infinity Nothing from that area. 7 MCQs from IR/Defense in 2016. Total 3 MCQs, out of them, only one easy. All based on current / contemporary issues of last one decade. 2. IONS is a voluntary initiative that seeks to increase maritime co-operation among navies of the littoral states of the Indian Ocean Region. URL#1: 2016: hosted by Bangladesh; 2015: by S.Africa and co-chair Tanzania. So first statement is wrong. URL#2: 2008: IONS was initiated taking all the littoral countries of the Indian Ocean (IO) onboard to promote friendly relationship and…bear upon issues of regional maritime security and cooperation in the maritime domain. Second statement is right. Difficulty: ★★★ Not covered in high profile headline type news in theHindu or Indianexpress during 2016-17 hence tough. And even if it was, still difficult to recollect whether India hosted 2015’s event or not? It’s just like that stupid MCQ on APMCHUD event: whether it was hosted in India in 2006 or not? 34. 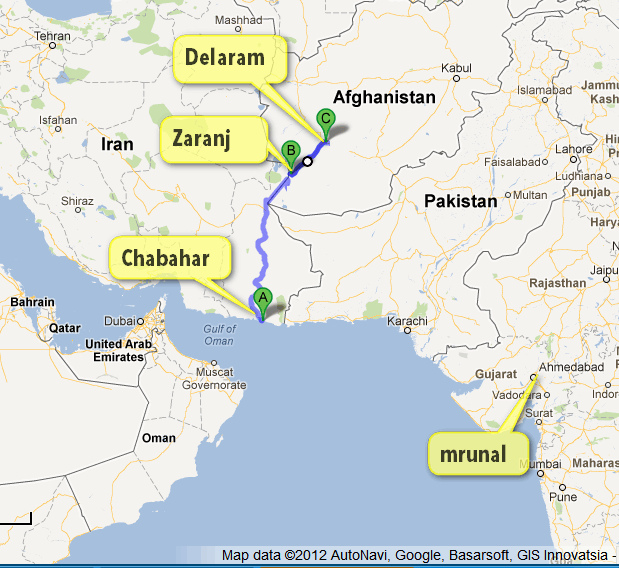 What is the importance of developing Chabahar Port by India? (a) India’s trade with African countries will enormously increase. (b) India’s relations with oil-producing Arab countries will be strengthened. (c) India will not depend on Pakistan for access to Afghanistan and Central Asia. (d) Pakistan will facilitate and protect the installation of a gas pipeline between Iraq and India. India wishes to access both Afghanistan and other central Asian nations (like Turkmenistan), through this Chabahar port. So third statement is right. India and Iran signed the “historic” Chabahar port agreement, which has the potential of becoming India’s gateway to Afghanistan, Central Asia and Europe. Toughness: ★☆☆. Easy. Because major highlighted item in most English newspapers and current magazines / materials. Current Affairs Span: May 2016, when Modi visited Iran. Guessmaster-giri: Irrelevant. Because at max, you can eliminate “A” statement for its extreme word “enormously”. It’s possible to even eliminate A, B and D depending on your reading and grasp of geography and diplomacy but then it’ll be knowledged elimination and not guessmaster-giri. 1. The Nuclear Security Summits are periodically held under the aegis of the United Nations. 2. The International Panel on Fissile Materials is an organ of International Atomic Energy Agency. Indian express March-2016: President Obama had initiated NSS in 2010. so, first statement is wrong. TheHindu April-2016:The International Panel on Fissile Materials (IPFM), an independent group of arms-control and non-proliferation experts from 17 countries, has been keeping track of HEU and plutonium around the world. So second statement also wrong. Toughness: ★★★ Tough because while NSS is high profile new item but unless you’re sure of second statement, difficult to arrive at the right answer. So, in a way this is ‘about us’ page type tough MCQ. Current Affairs Span: India Yearbook 2017 Ch.18, PM led Indian delegation at Washington DC in March 2016, for the 5th Nuclear security summit. Hi guys those who are fighting for election to Lok Sabha question, you have to select the most appropriate option. It is necessary that your name should appear in electoral roll of a constituency, so without any doubt answer has to be C.
Q 3. If I am not registered as a voter in any Constituency, can I contest election? For contesting an election as a candidate a person must be registered as a voter. Sec 4 (d) of Representation People Act, 1951 precludes a person from contesting unless he is an elector in any parliamentary constituency. Section 5 (c) of R. P. Act, 1951 has a similar provision for Assembly Constituencies. For this question if ans is ‘c’ Then how PM Modi contested from both vadodara and Varanasi…was his name appear in electoral roll of both the constituency ?? There is provision of collective responsibility of COM to Loksabha but not responsibility of GOVERNMENT to Loksabha. Hi Siva. When I saw the question in the paper, my first reaction was ‘rights and duties aren’t correlative’ in the Indian context. Rights and duties are correlative in jurisprudence. The common argument is, if I have a right to live, you’ve a duty to not strike at me. If you’ve a right to infrastructure, you should pay taxes. But the Indian constitution defines the duties of an Indian citizen in part iv-A. They’re in no way correlative or dependent on the fundamental rights or constitutional rights provided to us. You’ve a right to education and you’ve a duty to be rational and scientific but they are mutually independent. So logically, I do not think they should be correlated. Although, people casually say, “you’ve rights, hence you’ve to follow duties”. Another case in point is Kashyap’s book published by NBT on the Indian constitution. The book in the chapter on fundamental duties mentions the same line, ‘rights are correlative with duties’ but the book contextualises this statement; it’s not said in the context of fundamental duties but duties as a good citizen. The concept of legal duties and moral duties is the domain of law and jurisprudence. But that’s my opinion. Because, literally no one has raised a question on it, I’m assuming my opinion could be wrong. Against (c): as you said, what about 18-24 year olds? For (d): citizenship is the first pre-requisite. Against (d): what about 0-17 years old? Problem lies in ambiguity of the question statement. DPSP are positive obligations . Any positive obligation can be limitation too. Ex: Article 47- banning alcoholic drinks. State wants to continue this for revenue. Still, Ar 47 continue to demands its ban. So, Article 47 is a limitation to executive/legislative action. Great sense of humour and sarcasm @….. Explaining vested interests of coaching Baba’s by saying “,…….. Same would be the fate of those चंचल तत्वs who’re encouraging the candidates to do guessmaster-giri instead of actual studies”. ….. Among all online and offline coaching or guidance, our beloved Mrunal sir is best and yet do not charge anything. SIR JI Keep guiding the real Aspirants.